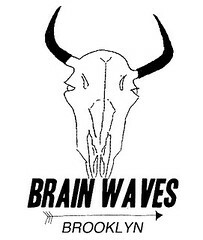 BRAIN WAVES, the print + zine department at STOREFRONT, opens tonight from 7pm-9pm at the gallery [see the announcement here]. I am excited to officially announce that my librarian hero, Kate Angell, and I, will be presenting a Teen Zine Workshop at Connecticut's Westport Library in just two weeks! We'll be talking a bit about zine history in the context of riot grrrl and conducting a how-to session, with materials provided by the library. Attention writers and music lovers! Blogging got you down? Tired of merely expressing yourself through Facebook status updates? 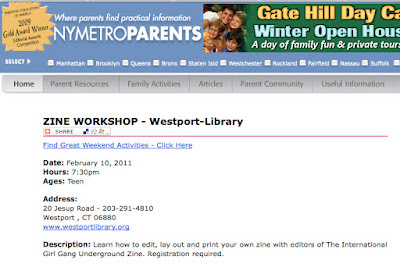 Take your talent to print by learning how to edit, layout and print your own zine. Kate Wadkins, co-editor of The International Girl Gang Underground Zine and Kate Angell, blogger and librarian at Sarah Lawrence College will lead a discussion of the medium's history in relation to underground music and DIY culture and will then help get you started on making your own. Materials will be provided. Just bring your ideas and enthusiasm! 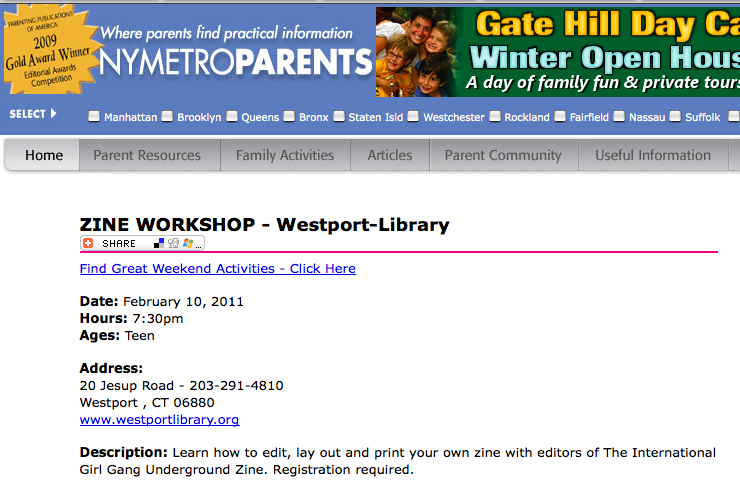 I was also stoked to discover that the workshop has been deemed parent-friendly by NY Metro Parents. Hi Mom!